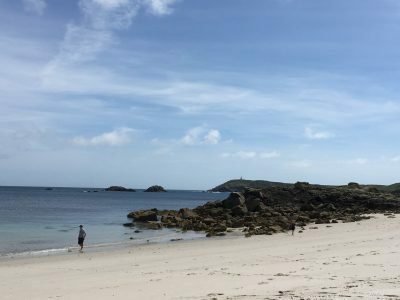 There are 35 beaches across the Isles of Scilly so visitors are pretty thinly spread out. When we visited Great Bay on St Martin’s, the real poster boy for the Scillies, we shared it with just three or four other people. 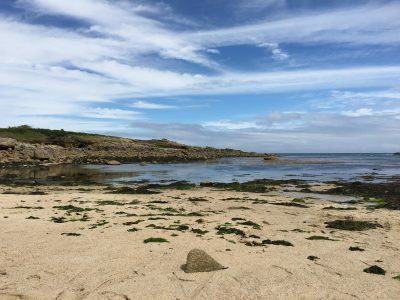 My brother reported similar findings on St Agnes, where at low tide the island is connected to its uninhabited neighbour Gugh (pronouced “goo”), by a narrow stretch of sand. Back on St Mary’s, we visited several empty beaches on the island’s less populated east coast. 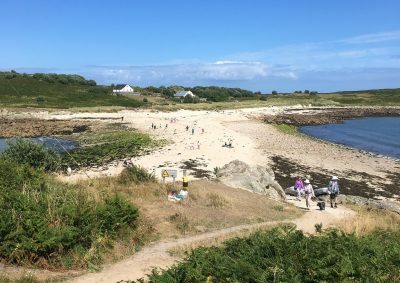 Most of the beaches were great for young children: plenty of sheltered bays, huge stretches of sand and lots of rock pools. We visited the islands with my parents and my brother’s family. 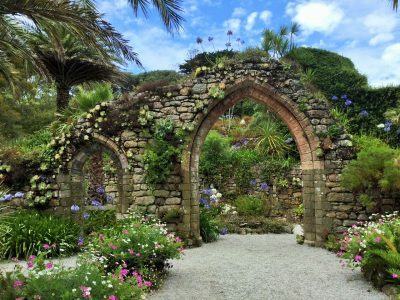 My parents enjoyed the slow pace of the islands, visiting Tresco Abbey Gardens and exploring St Mary’s on a golf buggy. The kids loved playing at the beaches every day. The middle aged parents enjoyed properly relaxing at the numerous beach-side cafes where beers and gins could be sipped within view of the children. My boys, aged six and four, are keen cyclists so the quiet roads, once you leave St Mary’s main hub, Hugh Town, were perfect. Tourists cannot bring cars to the islands. St Mary’s is a bit hilly in places but the promise of an ice cream or cream tea was sufficient incentive to power the kids up the steeper stretches. On such a small island (less than 2.5 square miles) you’re never far from a cafe to refuel in or a beach to cool off at. 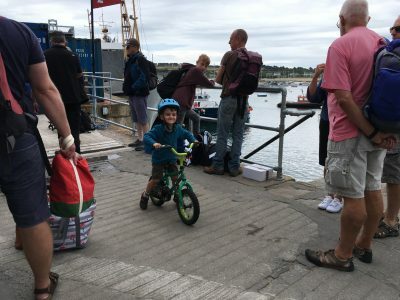 We brought our boys’ bikes over on the ferry from Penzance but hired bikes for the grown ups from St Mary’s Bike Hire which has a good range of cycles to choose from along with child seats, trailers and tag-ons. If you’d rather have four wheels than two, hiring a golf buggy is great fun, these can seat from two to eight people. 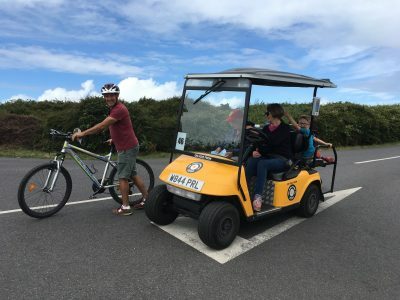 Isles of Scilly with kids: bikes and golf buggies are the best modes of transport on the Scillies. We enjoyed exceptionally good food at the Beach cafe overlooking Porthmellon Beach. We spent around three hours eating (I had delicious monkfish kebabs) and drinking at the cafe while the kids played contentedly on the beach. Our other favourite cafe was Dibble and Grub, a converted fire station (love the connection in the name) on the promenade above Porthcressa Beach (handily just 10 seconds from our house), where the grown ups enjoyed an evening drink while the kids (see a theme developing here?) messed around in the sand. Although much of the food has to be imported, we enjoyed Scilly gin, Scilly ice cream and of course lots of local fish. 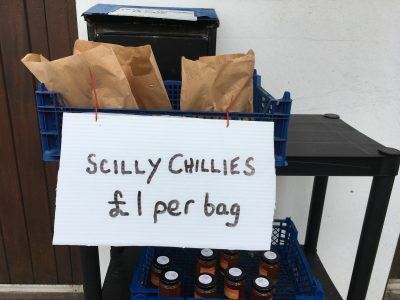 Throughout the islands, we found honesty stalls selling fudge, eggs, chillies and potatoes, plus of course plant bulbs as flower farms are an important part of the islands’ economy. Fancy a playground with a view? We found the one overlooking Porthcressa Beach hard to beat. 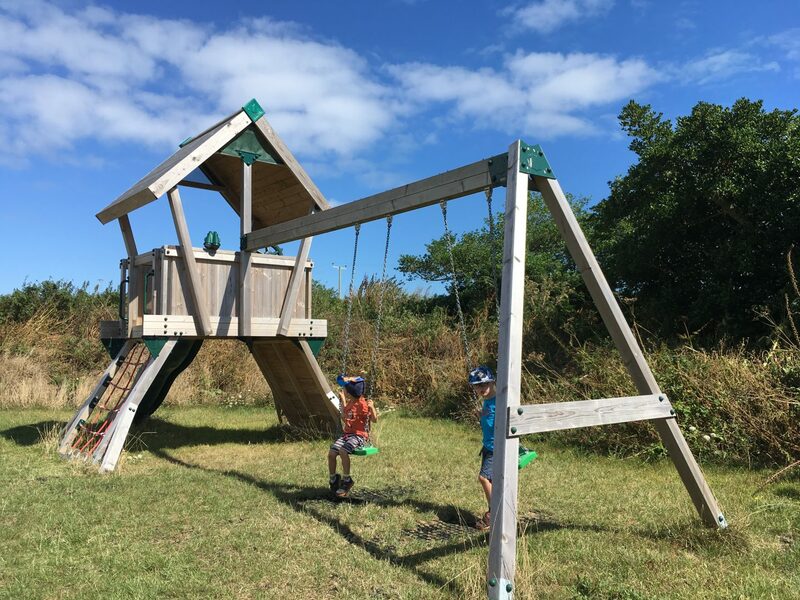 And if your kids fancy a game of footie while the grown ups indulge in a cream tea, Longstone Lodge and Cafe can cater for all the family: there’s a football pitch and a small play area plus distant sea views to admire from the terrace. 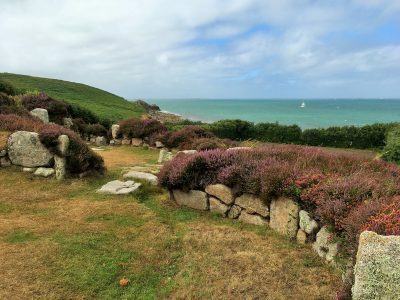 Despite their remoteness, the Isles of Scilly have been inhabited for over 3,000 years. Our boys enjoyed exploring the scenic Iron Age settlement at Halangy Down in the north west of St Mary’s and particularly liked the Garrison above Hugh Town. 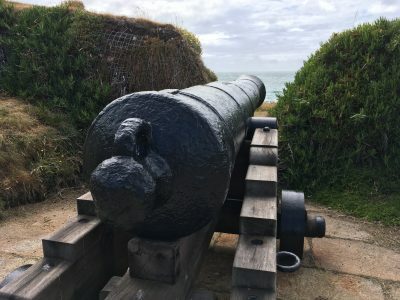 The Garrison, complete with castle (now a hotel) and clifftop cannons, was originally constructed to defend against a possible second Spanish Armada and was later used during the English Civil War. 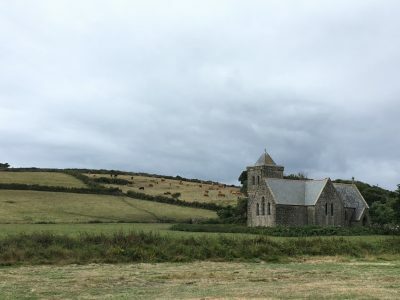 We only explored the history on St Mary’s but there’s plenty to learn on the other islands too from early Christian chapels on St Martin’s to castle ruins on Tresco. 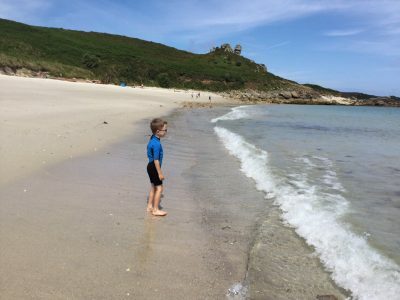 We took the kids kayaking and paddle boarding at Porthmellon beach on St Mary’s. There’s also sailing and windsurfing available along with wetsuits for hire. 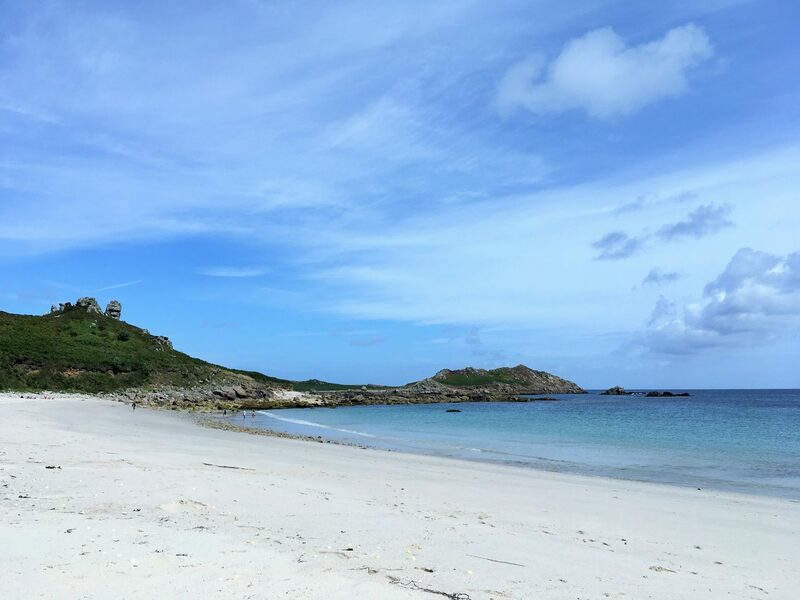 Visitors can try snorkelling with seals off St Martin’s (book weeks in advance in high season as this activity is very popular) as well as diving. Back on St Mary’s coasteering is also on offer. 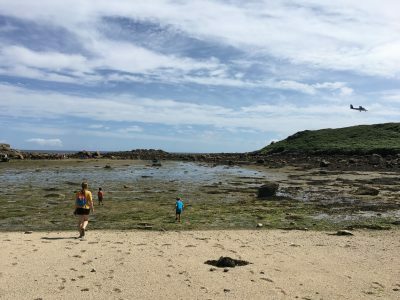 One of the locals I chatted to explained that young people who grow up on the Isles of Scilly are able to have a very independent childhood. 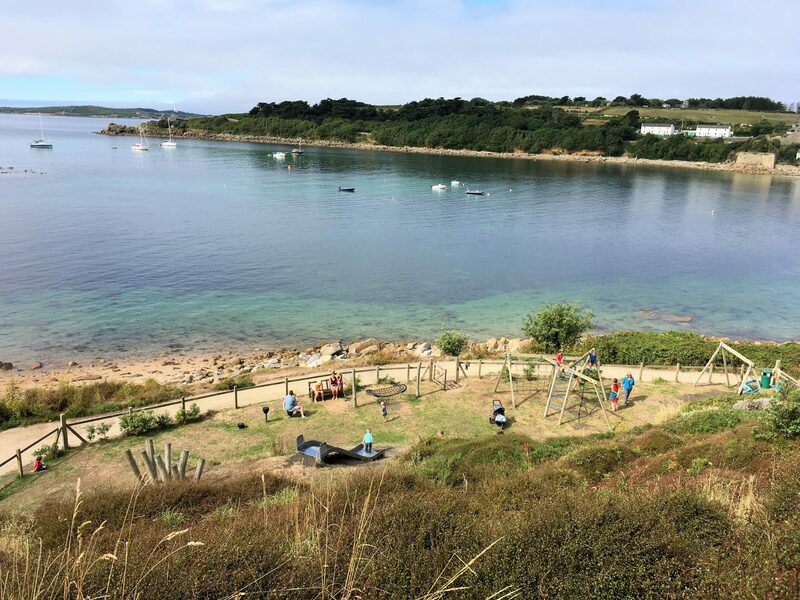 Kids can walk or cycle in relative safety and children living on the four off-islands board on St Mary’s for their secondary school education. Crime seems to be restricted to the odd local “borrowing” your bike to get home after a heavy night at one of Hugh Town’s pubs, we were told evenings were the only time we needed to lock our bikes up. 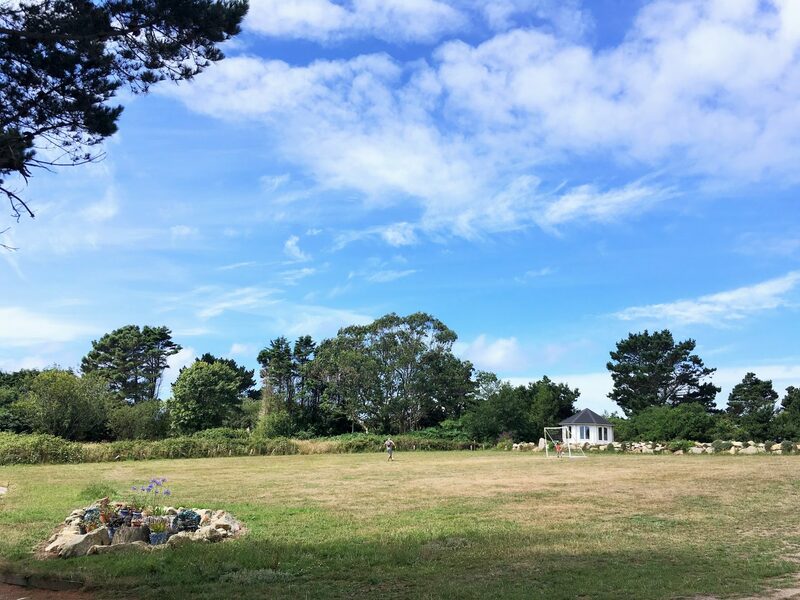 You can camp, glamp, stay in a hostel, a hotel, or self cater as we did. Prices are higher than the mainland but if you book early there are some relatively affordable options (Longstone Lodge is particularly good value). This isn’t the place for a last minute holiday: many of the holiday properties are block booked by returning guests who are given first refusal before the accommodation is released to the general market. The ferry and aeroplanes our family took to reach the Isles were fully booked for many of the days we were there. Don’t get me wrong, I do like other people’s children, in moderation. 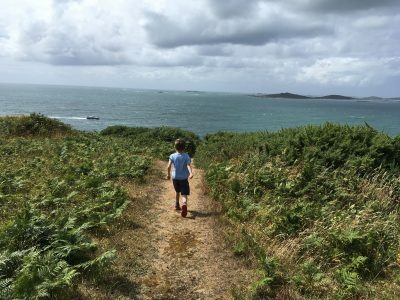 After a week in mainland Cornwall where the beaches were packed with kids, it was a pleasant change to find a really good mix of generations on the Scillies. There were families of course but also plenty of couples and older folk enjoying the tranquillity. 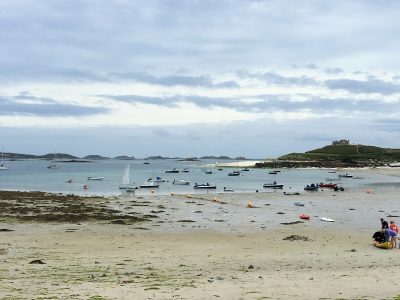 We stayed on the main island, St Mary’s, and visited St Martin’s and Tresco. Ferry boats run throughout the day between the islands and some trips allow you to take in three islands in one day. 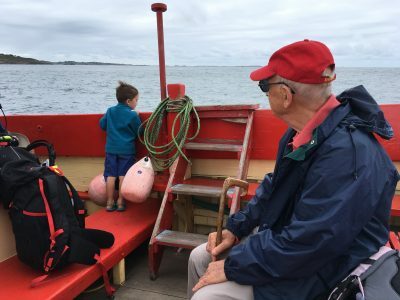 Typically, visitors take a boat out to a neighbouring island in the morning and return mid-afternoon, most inter-island journeys take 10 to 20 minutes and cost £9.50 per adult return, £4.75 per child. Extra boats are laid on if they fill up so you aren’t left stranded with nowhere to stay if the boat you planned to catch is full. There are also wildlife trips, glass bottom boats and dive boats. Note, the boats are very popular so there isn’t space to take an adult cycle on them although kids’ bikes are permitted. 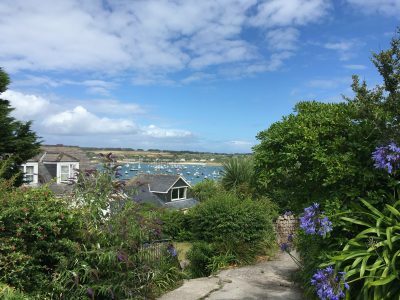 Nothing is ever very far away when you stay on the Isles of Scilly but heading inland and exploring the nature trails and walking along some of the coastal paths, the islands did feel wild and remote. I loved the rewarding Holy Vale walk on St Mary’s which culminated in an isolated arc of sand with the Atlantic stretching off into the distance. 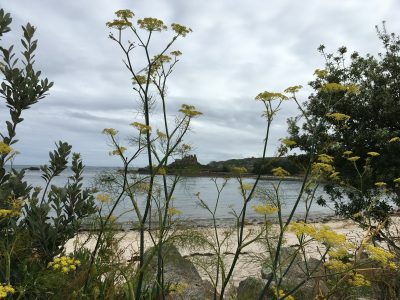 On St Martin’s, it’s quite a walk from the harbour (via a well placed bakery for provisions) across the island to Great Bay but the wild flowers, sea views and gently rolling heathland make it an enjoyable ramble. There are also themed guided walks available covering the history, flora and fauna of the islands. 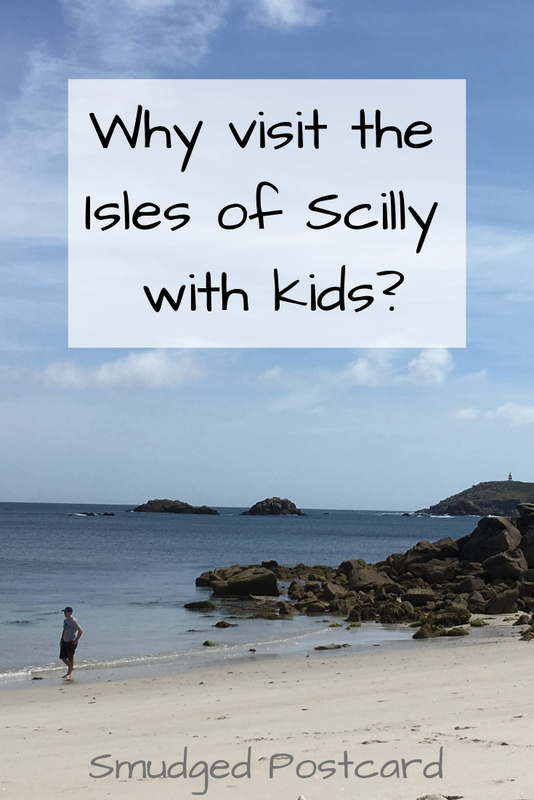 There’s no doubting that going to the Isles of Scilly with kids during bad weather wouldn’t be ideal, the Scillies are very much a beach holiday destination. We had a few wet and windy days at the start but we used these to explore and get our bearings. My parents hired a golf buggy which was an excellent mode of transport for the kids on rainy days. There’s an impressive museum on St Mary’s full of tales of ship wrecks and World War heroics with plenty of model ships and lighthouses to engage little visitors. We also enjoyed exploring the windswept Garrison which seemed all the more atmospheric for the inclement weather. 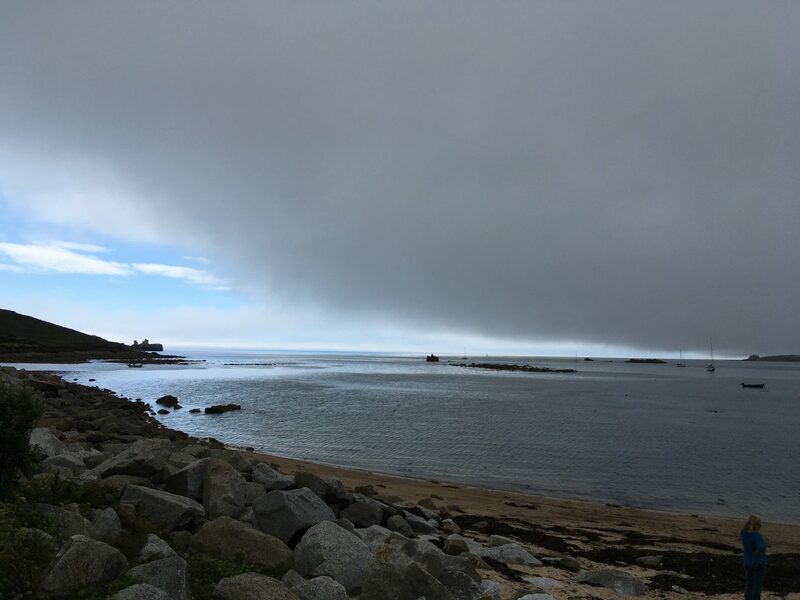 Scilly skies are always changing. 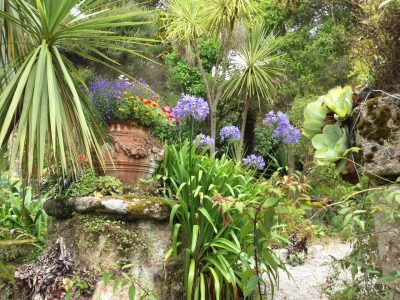 So, would we visited the Isles of Scilly again? Absolutely. 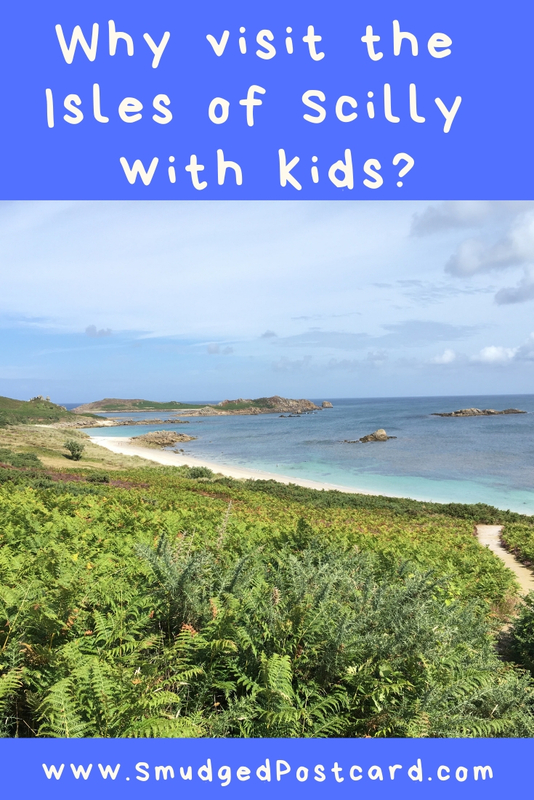 Have you visited the Isles of Scilly with kids? Let me know in the comments below. It’s heavenly, definitely give it a try! You must go Lorelei, combine it with Cornwall like we did! Wow, this sounds so perfect for a getaway with a family of all ages. The beaches are so beautiful and LOVE the sound of monkfish kebabs and getting around by golf buggy! The kebabs were amazing, I’ve been cooking them every week since we got home! It was so peaceful. I was really surprised that it was so quiet in our school holidays. It’s such a relaxing holiday, I enjoyed it so much! The empty beaches really surprised me, I knew it would be quiet but not quite that empty! So peaceful. I’ll be writing a post on how to get there in the next few weeks l! I look forward to hearing your review of it! A bit like your trip to the Greek islands but with colder water! It was so lovely, I feel rather wistful thinking about it! It’s a really magical place. Just noticed I hadn’t replied to you, apologies! You can indeed fly by helicopter to the Isles of Scilly. I believe there’s a year-round service. We didn’t buy the chillis but we did buy the gin! Well, the harder it is to get there, the better it is! The walks were lovely. I can’t wait to return one day and spend more time exploring! I’m trying to get my boys into board games, a project for this winter! 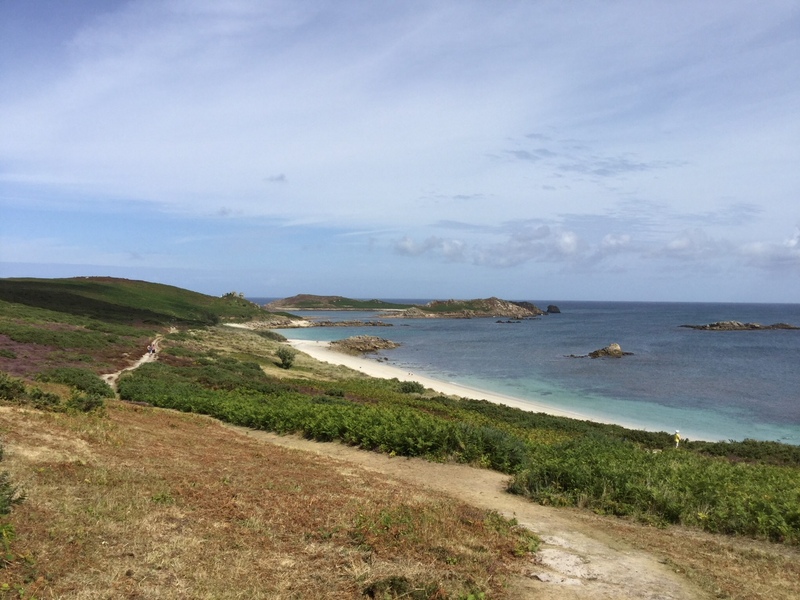 We’re in the group that’s only vaguely heard of the Scilly Islands, and wow – we’re convinced! Those beaches look very inviting, and we love the idea of a relaxing, not-so-crowded beach town to visit. Thanks for sharing on #TheWeeklyPostcard! The beaches we visited were pretty calm but I expect the ones facing the full force of the Atlantic should be good for bodyboarding. It really is a brilliant place, I couldn’t get over how quiet it was! I visited a friend in Devon this summer, during the amazing weather, and I was so envious of everything you have on your doorstep! Yes, you’re right they are a bit similar to Jersey but more low key. I prefer the Scillies but am tempted to visit one of the smaller Channel Islands. It was bumpy on the way out, both kids vomited! But recovered quickly and we were all laughing about it in the pub an hour later! Crossing was smooth on the return so they were fine. I’ll be writing a post about the travel aspect of the Scillies in the next week or so! Those beaches are just utterly charming! 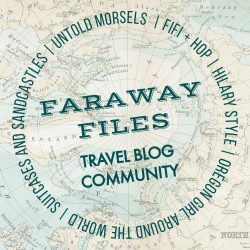 I’m hearing such amazing things about this corner of the UK and really must visit soon! I wonder what it’s like in winter? Well, I’ve seen a few hotels I wouldn’t mind staying in during wintertime, I bet it would be great fun! I love this post. 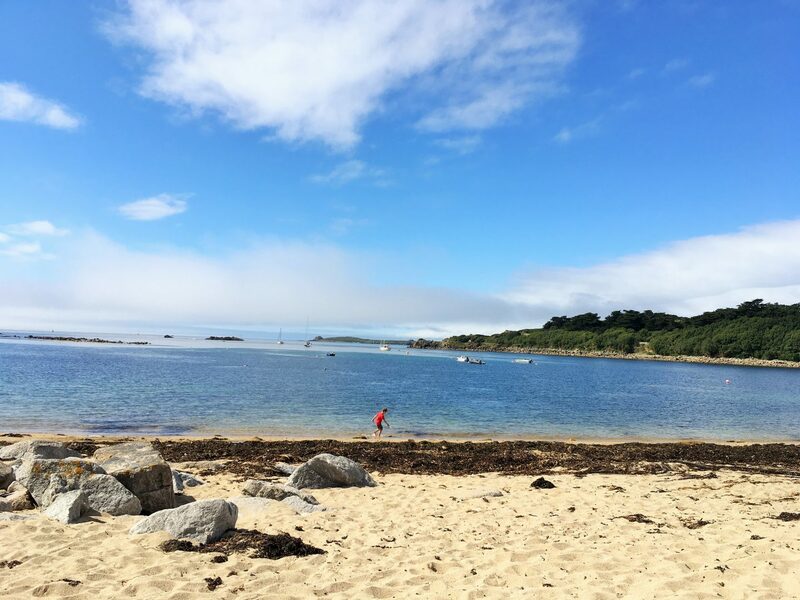 We loved Isles of Scilly when we visited! 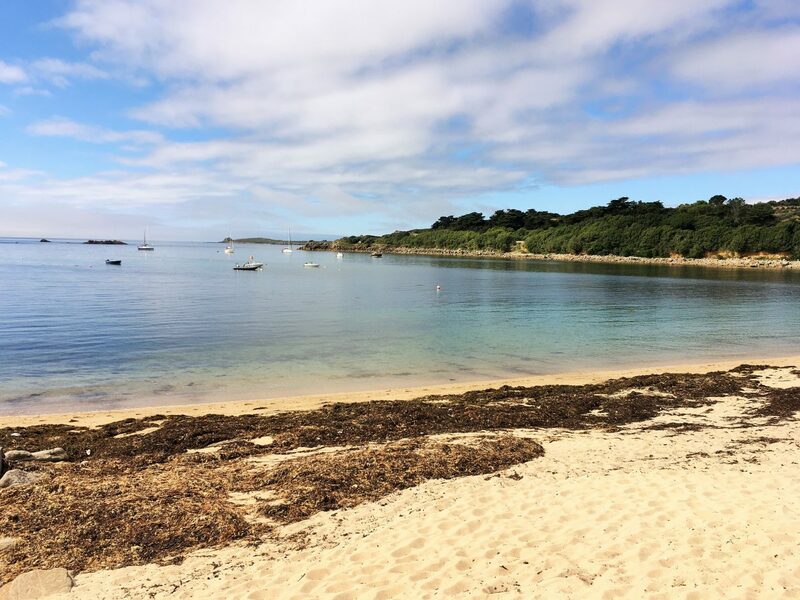 We stayed on St Martins and I loved everything about it – the beaches, the water sports and the slow pace of life. I have to go back one day!!!! I remember reading your review. We visited Karma for a cuppa and ice cream. St Martins is fantastic, my brother is already planning a return trip so he can stay on that island.